In an era when there is such a healthy abundance of film and TV, selecting your evening viewing should be luxuriously easy. However, we have such an overload of choice that sifting through the options can be exhausting. Then when you finally make a decision, it is with more apathy than eager anticipation. I have vowed to be more ambitious and adventurous with my movie and TV watching and thought I’d share my discoveries. I’ll be trying to avoid most mainstream pop culture in favour of reaching into the digital black hole on the hunt for some hidden gems. I won’t always be successful, and there will be plenty of occasions when I indulge in watercooler conversations re popular fare, but I’m going to do my best to be a more omnivorous cinephile. Feeling guilty about my lack of exposure to Ken Loach in spite of my public defence of British film, I felt I could no longer pass over I, Daniel Blake (2017) which has lingered in my Amazon Prime watchlist for a year or so. If I were to make excuses – Hell, why not? – I’d tell you I’d put it off for the simple reason that “I want to be in the right frame of mind to watch it”. That said, I couldn’t say that my frame of mind was optimal for Loach’s characteristic socio-political criticism when I did get around to it, but the need to clear my conscience took precedence on this occasion. I, Daniel Blake was certainly deserving of the international praise it received in the early part of 2017, but in my opinion, The Angels’ Share is better. Brilliantly performed and precisely written, this film is equal parts cunning heist comedy and working-class commentary; brutally funny and yet bitterly frustrating, as I am sure Loach intended. Every so often, a virtuosic masterpiece from American director Jim Jarmusch appears, a prescription of restraint administered by the cinema gods. Most recently, he gave us Paterson (2016), a lyrical meditation on modern American creativity devoid of any digital intervention. Before that, was Only Lover Left Alive, which couldn’t have been more different from Paterson if aliens had landed half way through. Tom Hiddleston plays a gaunt and long-haired musician who is mired in depression and surrounded by the paraphernalia of centuries. His opposite number is the lethargic Tilda Swinton, his visual negative; wrapped in shades of off-white as opposed to his darkness. The late Anton Yelchin and John Hurt also feature in the modest but weighty cast. I found I got sucked into the expectations of the fantasy genre, perhaps anticipating that the vampire drama might explode in a frenzy of bloody violence. I should have known, though, with Jarmusch at the helm, that violence was unlikely to feature, only alluded to in the composition of certain scenes. With exquisite performances, storytelling and design which deliberately transcends centuries, Only Lovers Left Alive is a must-see. This eccentric film really takes you on a journey. The tonal disparity between beginning and end would be enough to condemn it if it weren’t for the articulate progression of the story, no matter the peculiar twist in the plot. The Hippopotamus is based on the novel written by Stephen Fry, so it should come as no surprise that the story is wildly intellectual, if a little overindulgent. Roger Allam and Fiona Shaw stand out in an otherwise underwhelming cast, but an overall sense of sardonic pomposity leaves room for pantomimic performance without taking away from a feeling of satisfied amusement. Set in the sweltering heat of a New York summer, Trampsis an infinitely enjoyable film in the mould of classic Hollywood comedies that premiered to high praise at the Toronto International Film Festival 2016. It is a perfectly-timed, sweaty and exhausting tale that follows two lovable and ambitious young ruffians – performed with charisma and maturity by young stars Callum Turner and Grace Van Patten – who are ostensibly searching for their place in the big bad world. Heart-warming, funny and more precise than most box office-busters, Trampsis well worth submerging beneath the Netflix Originals and big budget spectacles cluttering your home page. There always talk about how young film fans do not have a good enough knowledge or appreciation of movies badged with the ‘classic’ label, or those must-see movies by big-name directors – Alfred Hitchcock, Stanley Kubrick, Terrence Malick, David Lean, etc. I’ve always thought I had a fair film education, exposed to the magic of black and white filmmaking and more than just Disney cartoons from a young age. As I gained control of my own viewing pleasures, I tried to alternate between pop culture and relative obscurity, but there are still – and will always be – gaping holes in my history. Burdened with an elevated cult reputation that stretches well beyond the realms of those who have actually seen the film, Full Metal Jacket had a lot to live up to. It was almost nothing like what I expected. Centred around a group of highly questionable characters, almost none of which the audience is invited to like, Kubrick’s famed war epic is a film of two distinct acts, both of which ring with questions about human character and the horrors of the Vietnam War. It is an eyebrow-raising experience, but not wholly unpleasant, and certainly educational. 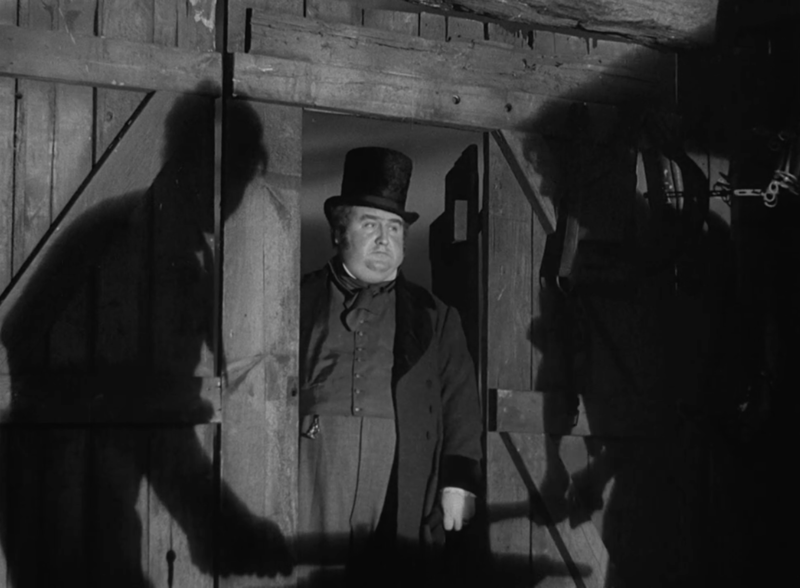 Continuing my film education – and filling a Dickensian shaped hole – I was pleased to find Great Expectations on BBC iPlayer, especially as it featured John Mills, star of The Colditz Story (1955), shown to me by my late grandfather and still one of my favourite films. 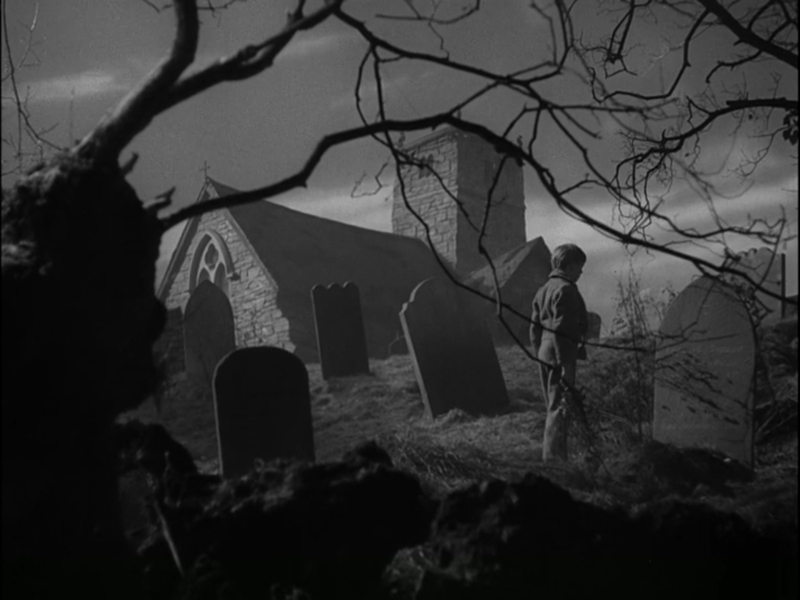 Seen now as a restriction, black and white film gave directors a palette ranging from light to dark, and prolific British director, David Lean, was an expert in exploiting silhouette and shadow to create atmosphere and intrigue in his films. Great Expectationshas been adapted for TV and film dozens of times, but the 1946 film is a classic that is not just visually appealing, but neatly adapted and well-paced for the modern audience; something that can’t always be said of films of that era. There are two Netflix Originals conjuring up some interest this summer. The intelligent and refreshing Set It Up (2018) has been praised for its efficient simplicity, showing off young leads Glen Powell and Zoey Deutch in a charming romantic comedy that is predictable without being tedious. It wouldn’t normally feature on my watchlist but the Netflix model shamelessly and relentlessly flashed it in my face until, in a moment of weakness, I gave in to its persistence. I was not disappointed. Brain on Fire (2016), on the other hand – Netflix Original by virtue of distribution rights – is frankly irritating. Chloe Grace Moretz is an actor who has effectively begun the process of shrugging off ‘child star’ status, but Brain on Firedoesn’t really look good on anyone, including British actor Richard Armitage who is almost unrecognisable as Moretz’s dad. Trying admirably to raise awareness of a little-known disease, Brain on Fireunfortunately lets itself down over and over again with tonal leaps, brow-raising dialogue, and pacing problems. Elsewhere on Netflix, you can find a lesser known Adam Sandler film which is closer in style to The Meyerowitz Stories (2017) than many of his familiar comedic efforts. Indeed, comedy barely features in Reign Over Me – and certainly never with the blatant suggestiveness of The Wedding Singer (1998), Big Daddy (1999), Grown-Ups (2010), etc. – which keeps to dark and touching humour, distributed sparingly throughout the tonally despairing story. Sandler’s bereaved Charlie Fineman and Don Cheadle’s successful but downtrodden Alan Johnson are old college roommates who reconnect after decades of estrangement. The intervening years are heavy with history, family and tragedy, all stories which are deftly negotiated, holding back on the details and cultivating the doubts born in the hive mind of the audience. This subtlety draws in the viewer, attaching them to the two leads and leaving space for the audience to impose their own experiences on the film. Sandler’s character gets around New York on an electric scooter and passes the time playing video games; two traits which demonstrate a kind of regression into adolescence and which are most reminiscent of the eccentricities nearly always carried by Sandler roles. Slowly and methodically, he is drawn out of his shell by Cheadle and a therapist played by Liv Tyler (who is still playing versions of elven Arwen from The Lord of the Rings…). A tender story of familial intervention morphs slowly into something verging on romantic comedy, although the credits role while love is still only a suggestion. Leaving the viewer appreciating the subtlety that is consistent throughout. If you ever find yourself craving the artistic simplicity and heavy contrast of classic black and white movies, Amazon Prime is the place to look (You’ll struggle to find a significant number of films older than a high-schooler on Netflix…). The Way Ahead is a typical wartime romp, full of plummy quips and intriguing social commentary. It moves at a leisurely pace like most pre-digital age films, but that’s not to say that the storytelling leaves anything to be desired, even for a modern viewer.